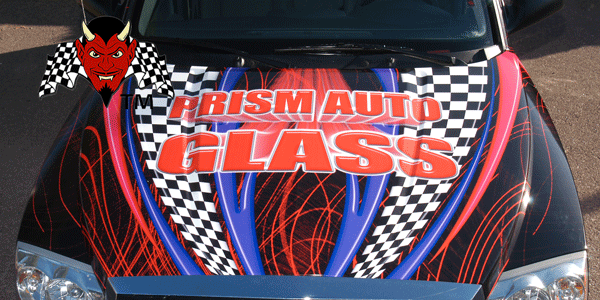 Auto Wraps & Vehicle Graphics in Spokane, Post Falls, Coeur D’Alene and surrounding areas. We want to help you grow your business! Our business is to get you noticed! How can we do that for you, you ask? 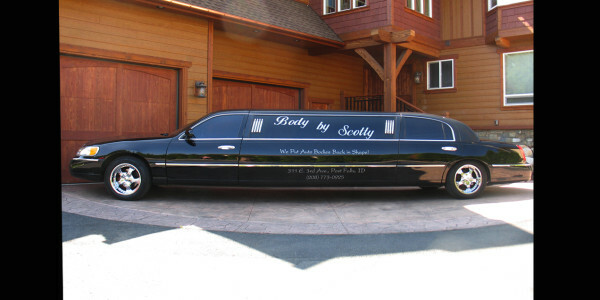 Auto Wraps are the best form of advertising and the one that gets the most attention. Dollar for dollar, it is the best way to channel your advertising budget. You can buy a billboard for a few weeks or for that same money, buy a wrap that will last for years. (Check out the stats below– you know you want to). But hey, maybe you’re not looking to advertise! Maybe you just want a cool lookin’ hot rod or an awesome head-turning eye-poppin’ ride. We are here for you too! Whether you’re advertising a business or advertising yourself we are going to get you noticed. It’s our job! We can create the look you want. 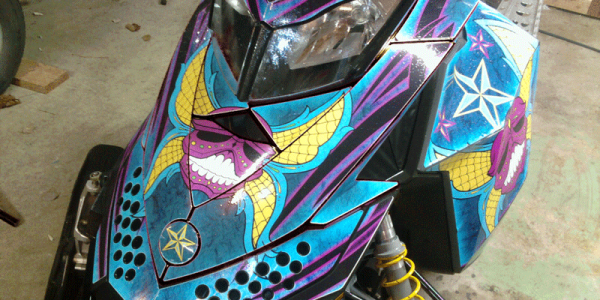 We have an artist that can take your vehicle wrap beyond your imagination and get it working for you! We also make sure your car gets the kid-glove treatment. Are you concerned who touches your car? You should be! 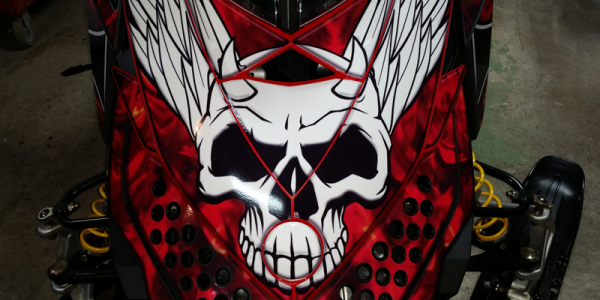 Find out who is applying your graphics! 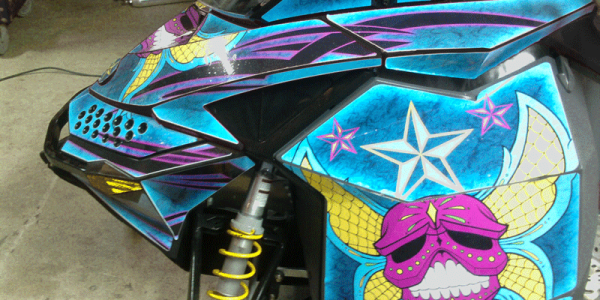 Most shops in Spokane and Coeur d’Alene do not install their own wraps and graphics. They hire outside contractors. 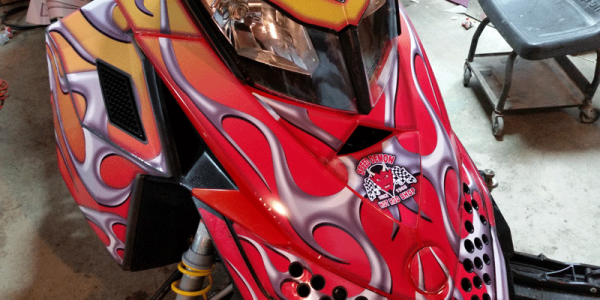 We install graphics!. In fact from 2006 – 2009 we were a primary installer for Ford GT 40 and Mustang graphics in Arizona at Ford of North Scottsdale– one of only 10 dealers approved by Ford to sell GT 40 models. Now we’ve moved up in to the Inland Northwest. 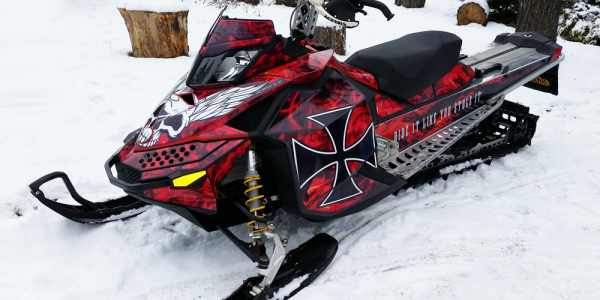 We are ready to design, print, and install your vehicle wrap or graphics here in the Spokane/Coeur d’Alene area. Traffic Audit Bureau (TAB) research puts inarguable numbers behind the use of vehicle wraps for advertising. 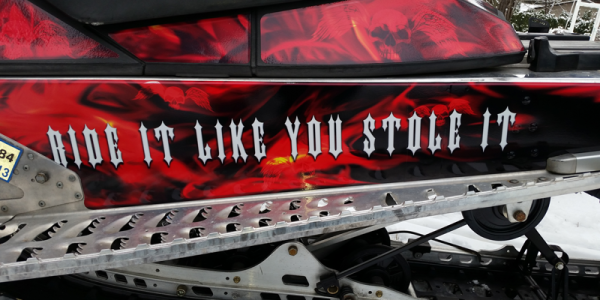 • 91% of all people report that they notice the words and pictures on wrapped trucks. 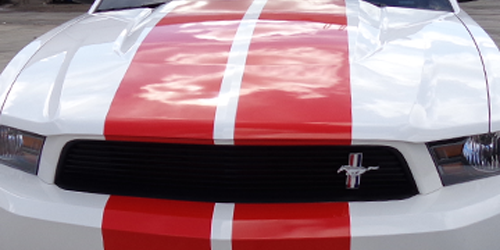 How many times have you sped up so you could get a better look at a wrapped vehicle? Who does that for billboards? • 75% report developing an impression about the company and its products from the wrapped vehicles. • 29% say they would make a buying decision based on the impression they got from a wrapped vehicle. Using sophisticated new research technology, the (TAB) has developed an accurate way to measure the effectiveness of fleet graphics. For the first time, truck advertising impressions and cost can be figured just as reliably as print and broadcast media. TAB’s research uses advanced Global Positioning System and Highway Performance Monitoring System technologies along with specialized computer software. 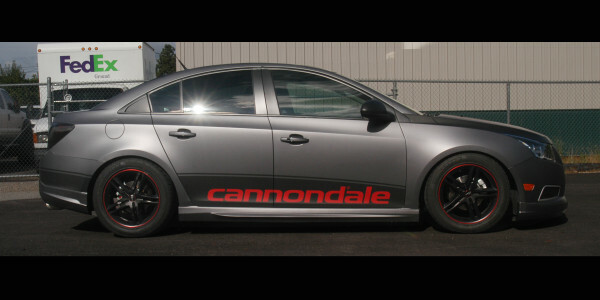 Car wraps have emerged as an affordable and effective alternative to traditional advertising. Instead of paying top dollar for a 30-second television commercial or a one-month highway billboard advertisement, you can purchase a solution that lasts for years for a fraction of the cost. 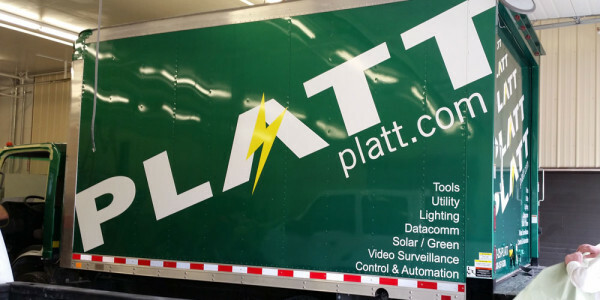 Vehicle advertising allows you to turn your car, van, or box truck into a moving billboard for your business. 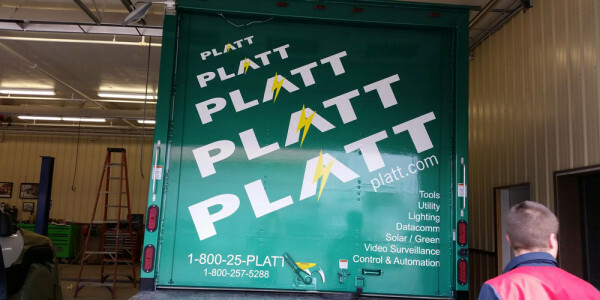 With an eye-catching design and detailed messaging, a vehicle wrap gives brand exposure to thousands of potential customers, whether you’re driving on the highway or parking in areas with heavy traffic. 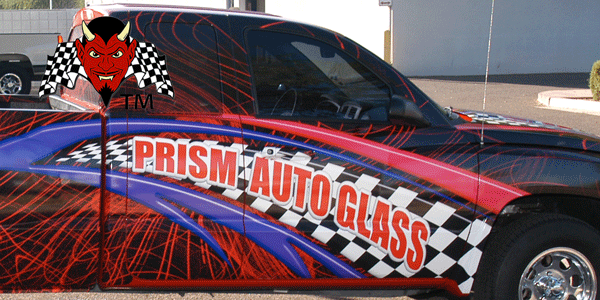 The primary benefit of using car wraps is that they provide the lowest cost per impression of any advertising method. 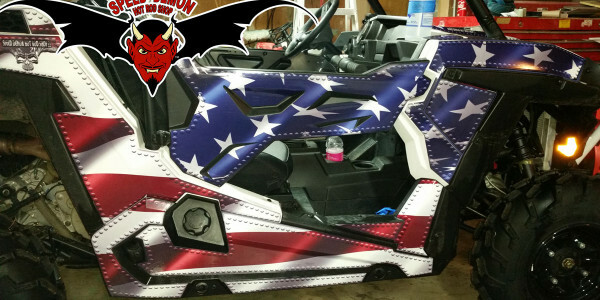 Both the American Trucking Association and the Outdoor Advertising Association of America (a nonprofit group that tracks advertising statistics) indicate that vehicle wraps cost about $1 per thousand impressions (CPM). Compare that to $2 CPM for static billboards or $12 CPM for a one-day quarter-page newspaper ad, and it’s no wonder that the vehicle wrap industry is steadily growing. A typical billboard is located at least 1,000 feet away from the driver and passengers. Visually, they appear to be 4 inches high because of that distance. And barely has the consumer had a chance to notice the billboard but seconds later, the driver speeds past the message and his or her attention is focused elsewhere. 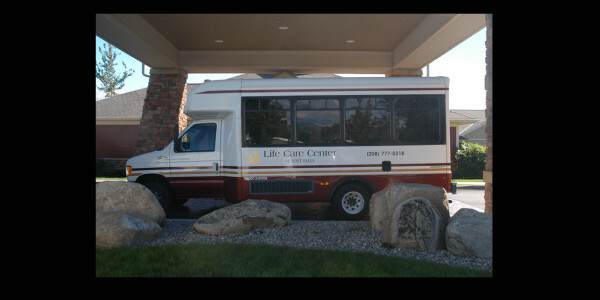 With an auto wrap your message visibly dominates the potential customer’s field of view, often for miles. This potential exposure for your business can be valuable and for a fraction of the price. What? You still want more info? OK, we’ve got more! 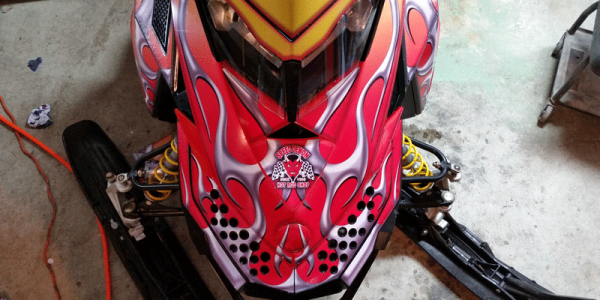 Your vehicle wraps can be printed on cast or calendered vinyl. 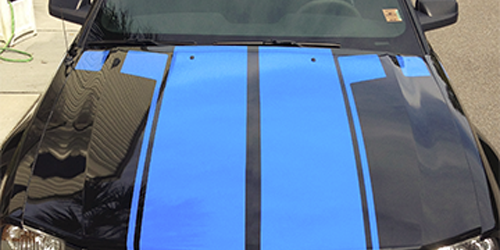 The primary difference between the two vinyl wraps is durability. Cast vinyl is best for long-term use of 1 to 5 years; calendered vinyl is appropriate for short-term wraps lasting just 3 to 12 months. Cast vinyl is a premium material that stretches easily to best conform to the vehicle’s surface. 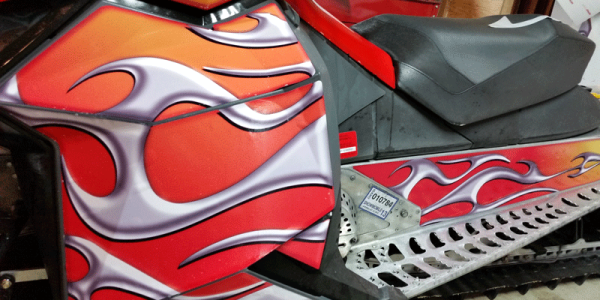 When laminated, cast vinyl provides a paint-like finish on cars, buses, and even boats. In addition to increased flexibility, we prefer cast vinyl because the sheets don’t shrink much during manufacturing, and also because they maintain colors better during printing. 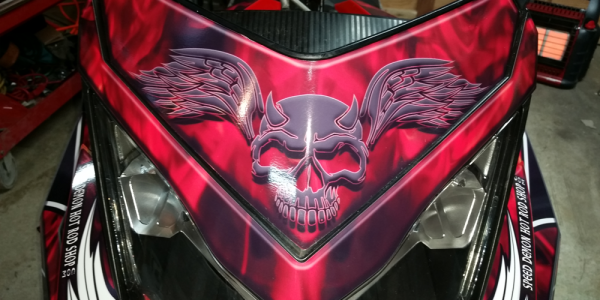 However, cast vinyl wraps are considerably more expensive than calendered material and isn’t recommended if you need a vehicle wrap for less than a year. Calendered vinyl has strong “memory” – it snaps back to its original form after being stretched. This means it doesn’t conform as well to vehicles. It’s also difficult to match colors. But calendered vinyl is much cheaper than cast material, and it can be produced in greater quantities. 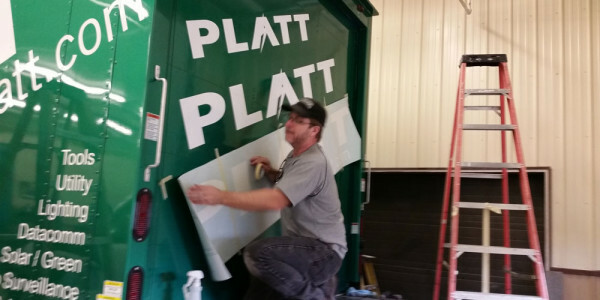 This makes it an acceptable solution for vinyl wraps lasting only a few months – especially if used on flat surfaces such as the side of a box truck – but not for long-term advertising. But it can keep yours costs down significantly if you’re looking for a short-term solution. 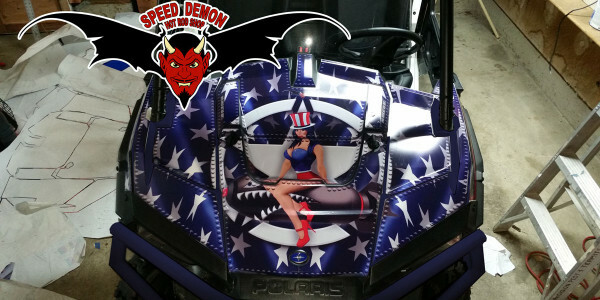 Speed Demon offers different methods for wrapping your vehicle, depending on how much surface area you wish to cover. 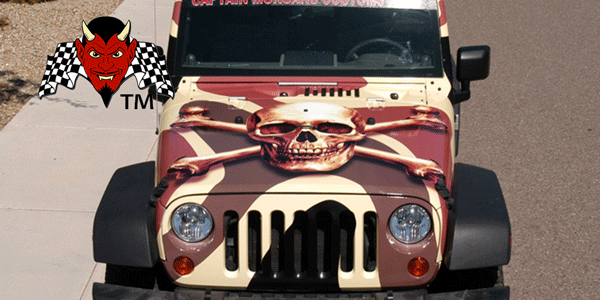 There are four main steps to creating vehicle wraps: designing, proofing, printing, and installing. 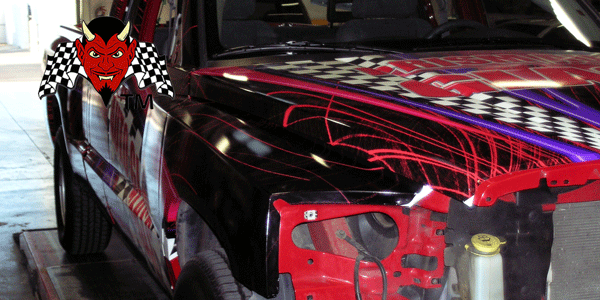 The design work can easily be longest part of the vehicle wrap process. It can take anywhere from 5 to 40 hours, depending on the complexity of the design and style of vehicle. 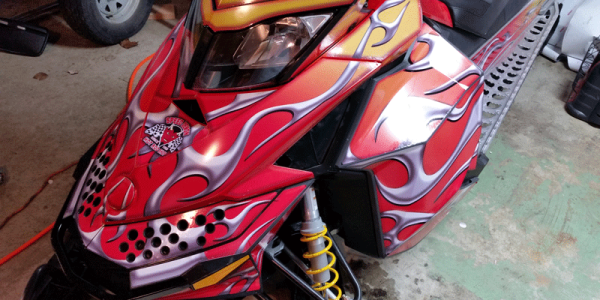 Certain graphics may have to be specially cut and contoured to fit parts of the vehicle, which can take longer. Once the design is ready, we create a proof of the wrap. It’s important to carefully examine the proof for any mistakes you find and immediately note any changes you want made to the final wrap before printing. 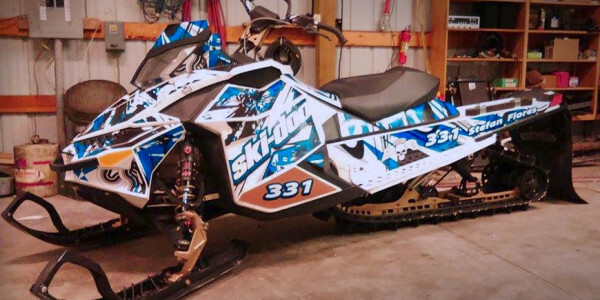 Any changes you have after the wrap goes into final production can delay turnaround and add significantly to your costs. 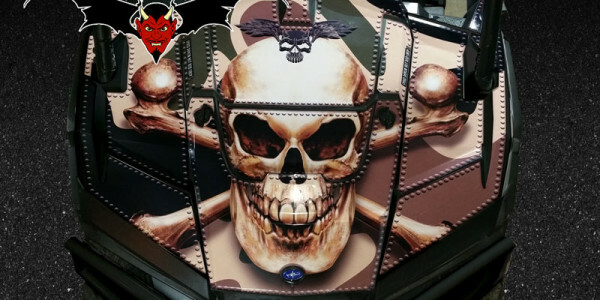 Speed Demon prints the finished design on 54-to 60-inch-wide vinyl sheets using a large-format, Eco-solvent-based printer. 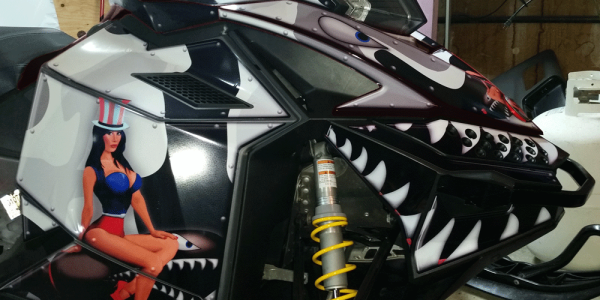 These printers produce vehicle wraps and other signage at a very high 1440 resolution. We typically print in multiple panels and carefully pieced together during installation. After printing the wrap, we set it aside for a few hours or overnight to “gas out.” This prevents the vinyl from bubbling or wrinkling during application. Before we can begin installing your wrap, your vehicle needs to be thoroughly cleaned so that the wrap will adhere properly. Taking it through a high-pressure car wash that uses powerful detergents should clean off most grime and debris. 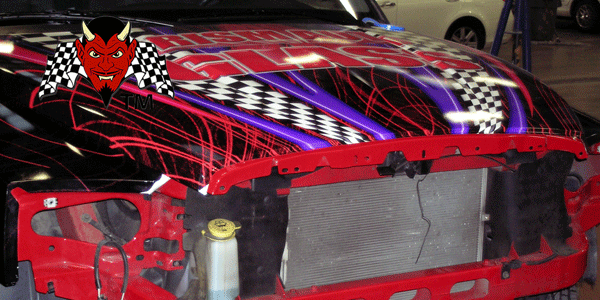 Once cleaned, we carefully align the vinyl panels to ensure proper fit and applies them to the vehicle. 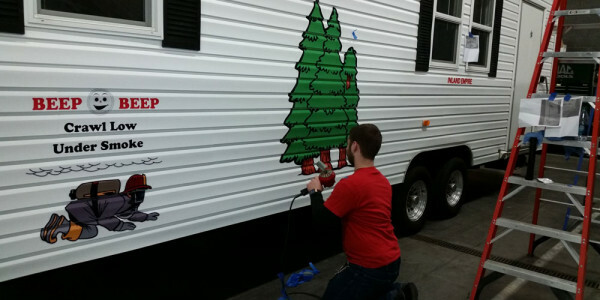 The installer uses a small tool like a heat gun to stretch and reposition the vinyl, and a squeegee to eliminate imperfections. To keep the wrap clean, hand wash the vehicle regularly with soap, water, and a clean rag. Avoid high-pressure or bristle-based car washes that could lift up or tear the wrap, as well as waxes that could remove the laminate or minimize the wrap’s adhesion. If you need to wrap more than one vehicle, talk to us about fleet discounts! You’ll not only save money by wrapping multiple vehicles at once, but you’ll also keep the design and messaging constant for your entire fleet.